What Does Tune’s New Data on Reinstalls Mean for ASO? 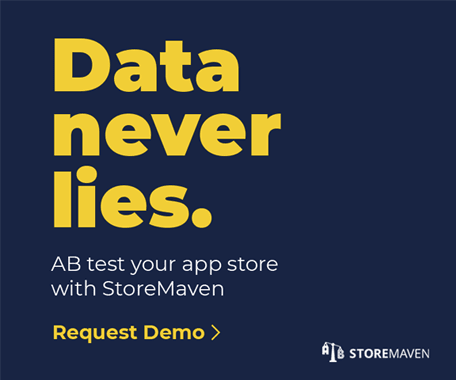 Tune recently partnered with Apple to access and analyze data on new and returning app users, and the findings highlight a unique opportunity for App Store Optimization (ASO) on iOS. The report analyzed 3.1 billion global app installs from November 2017 to May 2018. While we’ve already known that app users are quick to uninstall apps, Tune’s findings show that a surprisingly high number of app users are reinstalling apps. In fact, they found that nearly half— 42% to be exact—of all installs are reinstalls. They also found that 98% of smartphone owners have reinstalled an app and that as much as 40% do so on a regular basis (weekly or monthly). These findings point to the growing importance of the “What’s New” section of your App Store Product Page—an undervalued marketing asset in ASO. What’s New About the “What’s New” Section? The “What’s New” section of an App Store Product Page isn’t a new section by any means, and the underlying purpose of this field has always been to communicate updates or changes made to an app. What changed with the release of iOS 11, however, is the location of this section on the Product Page—and in turn, its influence in remarketing. Prior to iOS 11, the What’s New section was located below the app Description. Today, its location is contingent on whether a visitor has already installed your app. If they have not installed your app, it appears below the Ratings & Reviews. If customers have already installed your app, irrespective of whether they have uninstalled your app, the What’s New section appears at the top of your Product Page—occupying prime real estate in the First Impression Frame. The What’s New section is the perfect Product Page asset to test and optimize in the efforts to wake up this “sleeping giant,” as Tune appropriately refers to it. In fact, in our tests we found that optimizing What’s New content has the potential to lift CVR by up to 12%! …we found that optimizing What’s New content has the potential to lift CVR by up to 12%! We analyzed the Product Pages of leading mobile apps on the Apple App Store. We specifically focused our analysis on What’s New engagement and content. We found that 0-0.27% (with a median of 0.06%) of App Store Product Page Visitors click to expand the What’s New section. However, of those visitors who do click to expand, 16-42% (with a median of 25%) download the app. This means that while it’s exceptionally important to focus your attention on copy that is visible without clicking to expand, optimizing expandable content could also be beneficial. 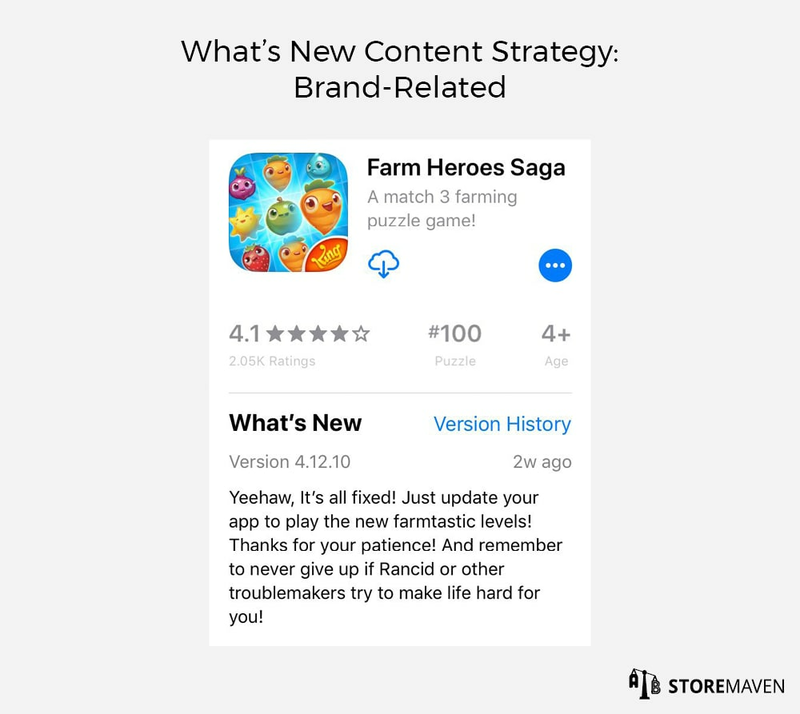 In our analysis of What’s New content, we were able to identify 4 common strategies top app publishers tend to take. 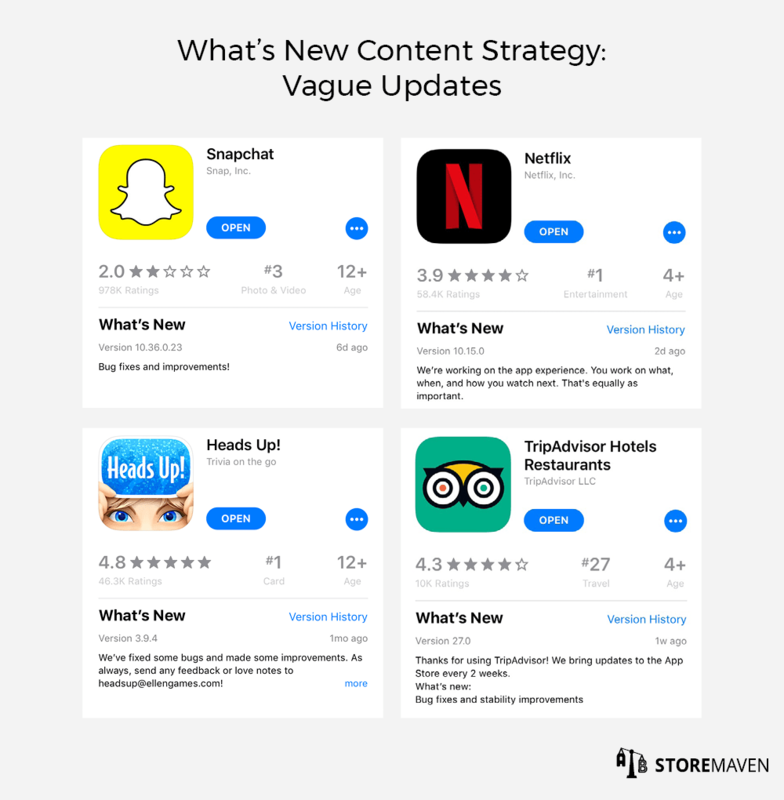 One of the most common approaches we’ve seen in What’s New content, is what we call vague updates. 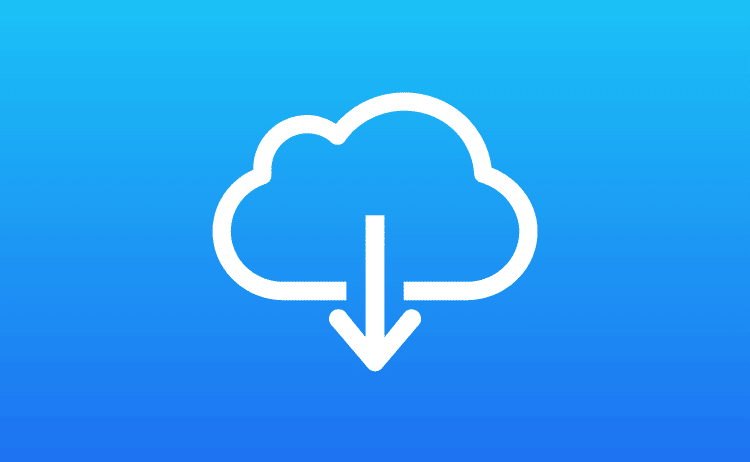 This generally entails templated copy that simply states that you are continuously updating your app, without specifying exactly which updates have been made. While this approach show users your commitment to optimizing your app, it doesn’t fully leverage the opportunity you have to communicate exactly what updates have been made in order to really encourage existing users to download the latest version and/or address potential issues pertaining to why users may have uninstalled. While it can certainly help to communicate ongoing app optimization efforts, taking this approach alone is not recommended. 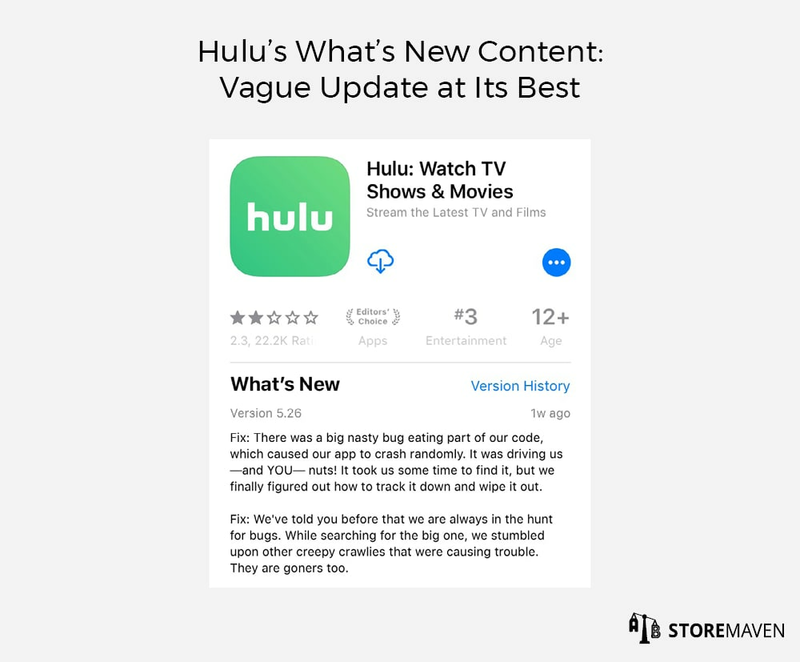 If you’re gonna go vague, we recommend your do it like Hulu—the most vaguely cool What’s New content that is sure to bring reinstallers. 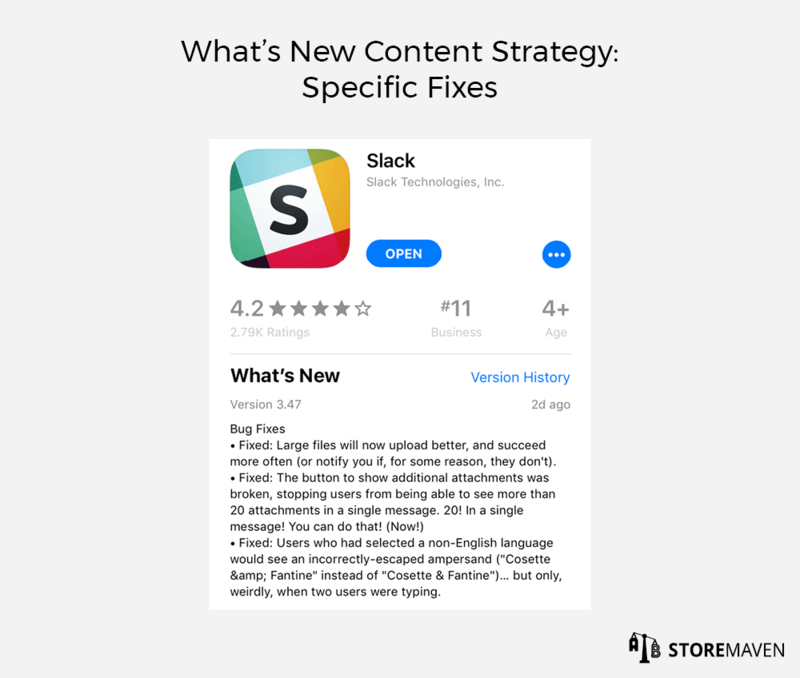 Another common approach we have seen in What’s New content, is highlighting specific fixes. This most often includes detailing bugs that were fixed. The advantage of this approach is that, like vague updates, you are showing users a commitment to optimizing your app. Beyond that, you may be highlighting a specific issue that caused a user to uninstall your app, and this could be the push that gets them to give your app another try. The danger of utilizing this approach in order to highlight specific bug fixes, is that you are using crucial real estate on your Product Page to address tiny technical things that may not mean a lot to most returning visitors. 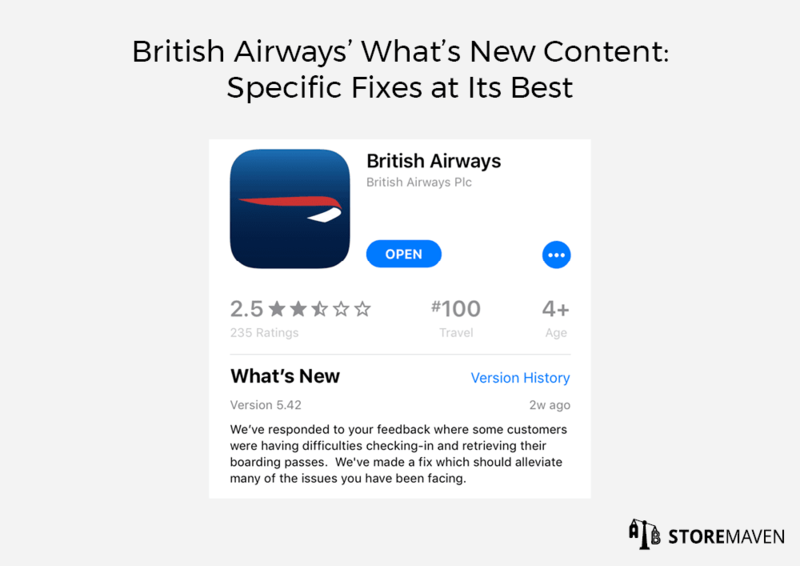 British Airways is a brilliant example of detailing a specific bug fix in a highly personalized and non-technical manner. 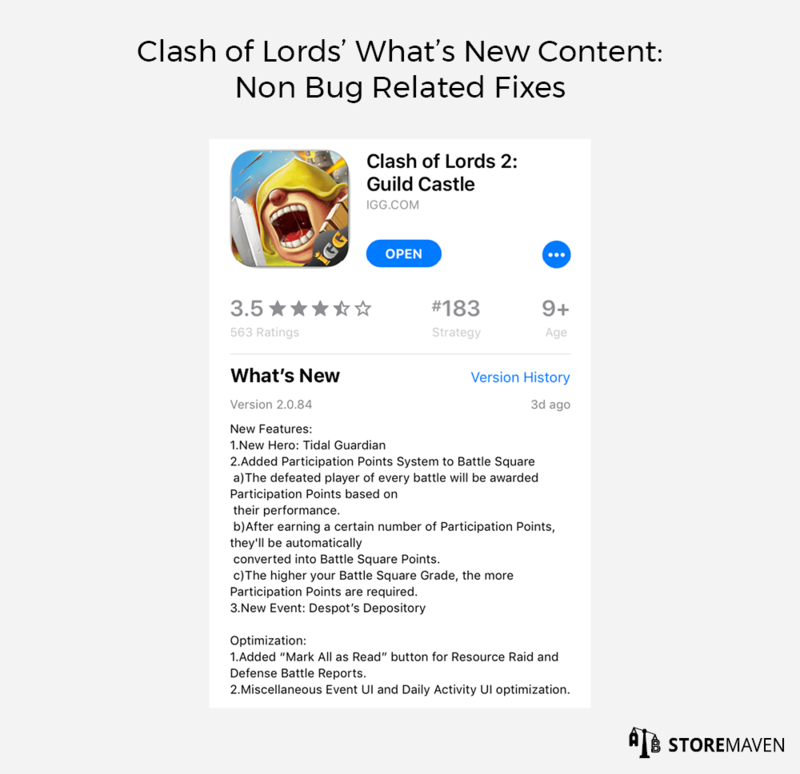 This approach is especially useful for non-game apps, as Tune found that unlike games, app reinstalls are largely driven by the need to “solve a problem, or simplify a process.” Hence, while technical bugs that complicate a process can drive a user to uninstall an app, calling out bug fixes that make processes more simplistic is a good way to cater to app user psychology. We’ve also seen a lot of game publishers take this approach to address non bug related issues, such as adding more levels to a game. 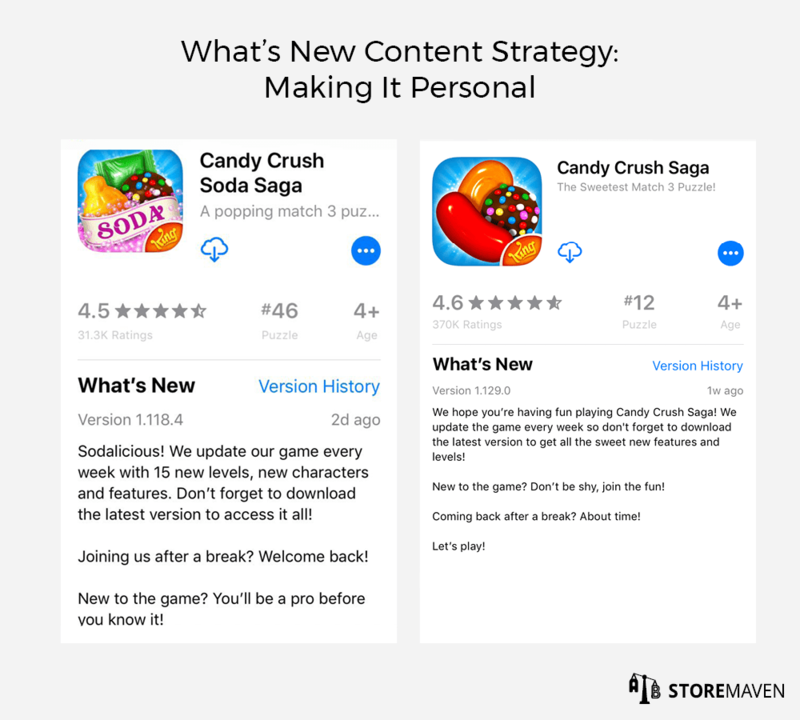 We’ve found this approach to be particularly useful for re-engaging users who switched to a competitor game because of an exciting new level/feature they promoted. The advantage of this approach is that it is an incredibly unique and creative way of roping fans back in. Focusing visitors attention on parts of the app they know and love, and even hinting at new and related aspects, is a great way to build curiosity and encourage users to reinstall. We have also found this approach to be an excellent way to appeal to users who simply haven’t logged in for a while and just need to be re-engaged with the brand. 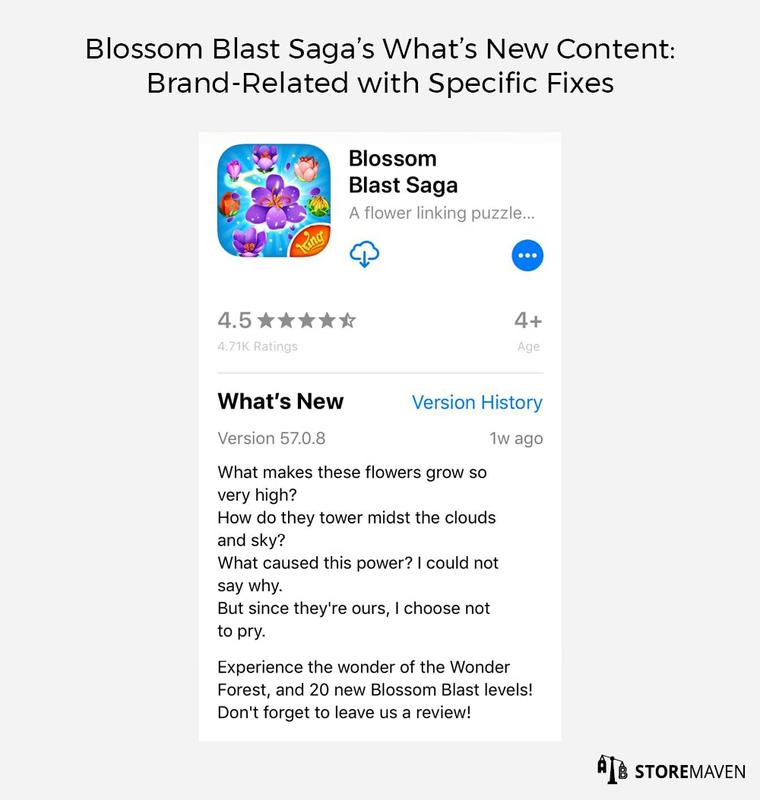 Blossom Blast Saga’s What’s New content is a great example of combining brand-related content with specific fixes. This approach is particularly relevant for games, as Tune found that game reinstalls are driven largely by desire or sentiment: “someone gets bored or fed up, or completes a game… but, after leaving it for weeks or months, they may get the itch to play again.” Touching on brand-related themes combined with specific non bug related fixes, like calling out “20 new levels,” is a great way to tap into game user psychology. Another unique approach we’ve seen is what we call, making it personal. This entails using messaging that speaks directly to the Product Page Visitor. 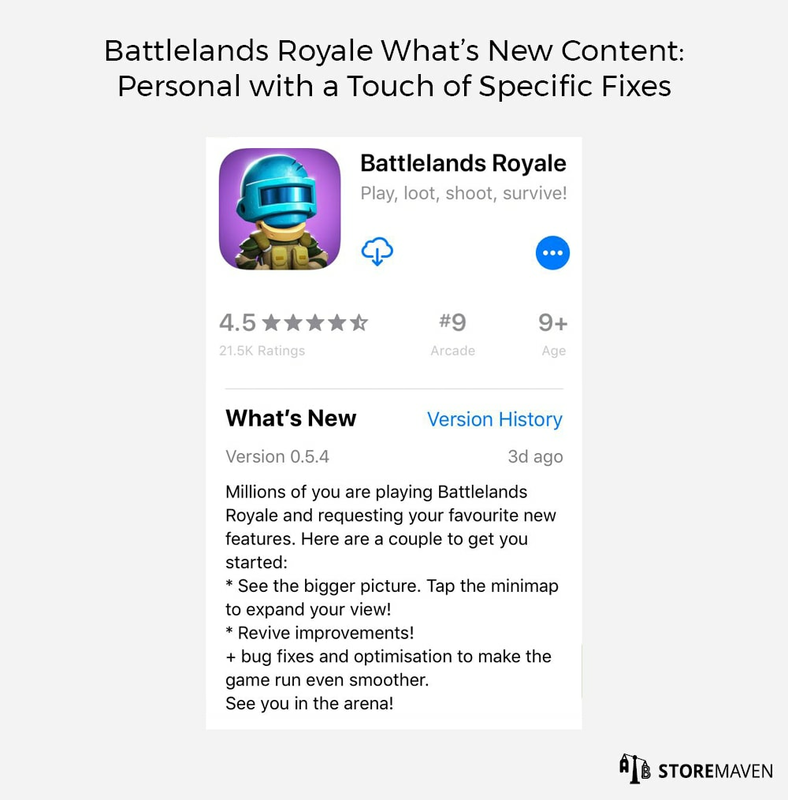 Check out how Battlelands Royale nicely combines the personal with specific fixes. The advantage of this approach is that it’s another fun, unique, and highly engaging way to grab your Product Page Visitors’ attention. Reviews analysis: Identify common issues customers have articulated about your app. Be mindful of the language they use in describing these issues. Use this information to find a unique and personal way to address these issues in your What’s New content. Internal app analytics platforms/services: Platforms like appsee, for example, can be a useful tool in gaining user feedback. Features like touch heatmaps or user recordings—which allow you to see taps, swipes, and actions—helps you identify what’s working and what isn’t. Again, this is great information to have as you approach writing your What’s New content. Market research: Identify features that are trending (e.g., augmented reality) in your app category. Try to uncover possible reasons why users may have switched to a competitor app. Incorporate these findings where relevant into your What’s New content as well. 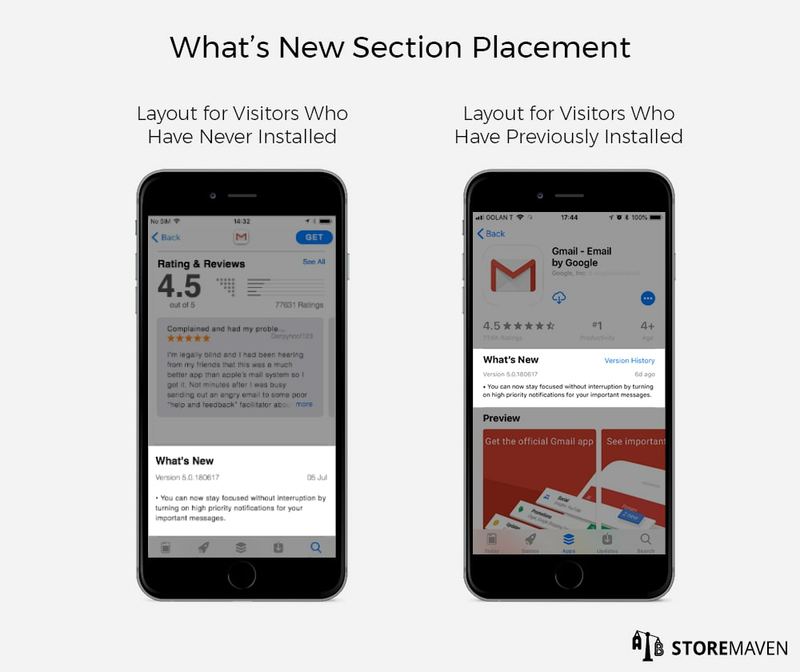 While the What’s New section is clearly a useful Product Page asset to leverage in capturing more reinstallers—and certainly one that should be incorporated into your ASO strategy—it’s not the only one. In fact, Tune’s findings also highlight the importance of optimizing your first three Gallery assets, as they found that “Search drives 65% of all app install behavior.” They also found that “Three times more people reinstall an app via search than via ads.” For information on how to optimize for search, check out our 10 killer app store tips! Have ASO-related questions? Reach out to us info@stormaven.com.